What do you get when a team of 20 people boards the same flight from KLIA 2 to Gold Coast, Australia? Absolute chaos and havoc. 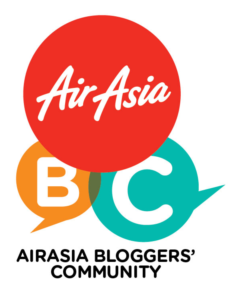 And that was exactly what we were when we boarded our overnight AirAsia X flight for Gold Coast to participate in the Reebok Spartan Beast race, held in Brisbane. With missing wallets and passports right from the start, we knew the trip was going to be an interesting one. A hour later, we went back to Grande Florida and after a few more minutes of waiting, our rooms were ready and immediately we staked claim to our different apartments, freshened up and rest before the big day the following day. A batch of us decided to head out to Harbour Town to grab a bite and to shop. It took us almost an hour to drive to Harbour Town from where we were due to the mid-day jam and by the time, we got to Harbour Town, we were famished once again. Or maybe that was just me. Anyway, after making arrangements to meet up at the certain time, we all went our separate ways. I for one, hunted down Pie Face after having heard about on a Ryan Higa Youtube video and I must say, my ham and cheese pie did not disappoint. Once empowered with food and coffee (again), it was time to shop. For the brand-particular shopper, Harbour Town was heaven. It was roughly twice as big as the one in Perth and had a Woolworths on its premises. There, I found the gateway to cheap branded shoes and clothes, walking away with a pair of Clarke boots for only AUD59 and Supre leggings at only AUD10. There were also sporting brands like Salomon, Nike, Roxy and so on but the collections either didn't appeal to me or were out of my budget range or too heavy for me to bring back (sorry, Converse!). Once my clothes shopping was done, it was time to stock up on dinner and chocolates! And Woolworth was my next target. The array of fresh produce and food selection was amazing in Australia and I once again had to keep myself from buying out the entire pork section. Less restrain was practiced in the chocolate section though but surely I was not to be blamed as chocolates in Australia were a freaking steal! Nevertheless, when we departed from Harbour Town, I was probably the happiest person in van. The drive back took another hour as it was after office traffic but it was a nice drive back due to the towering sight of the main Gold Coast city, Surfers Paradise and the canal houses. Back at the resort, life was pretty much chilled and relaxing just the way a holiday should be. Some of us went for a swim (or had express swimming classes) and some went out to the beach which was just behind the resort (and was quickly chased back indoors due to the cold). Dinner was prepared in my apartment and after our first day in Gold Coast, it was time to get a good night sleep for Spartan the next day.